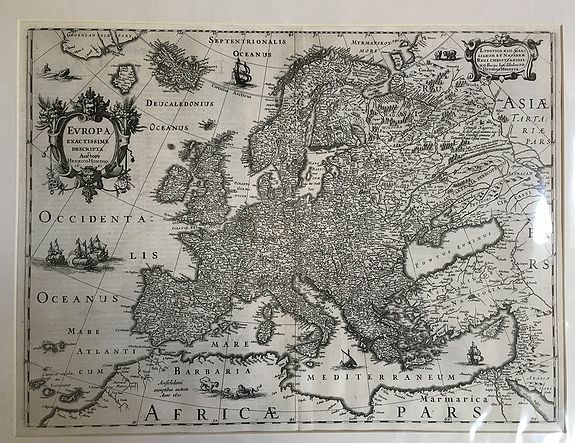 Old map by HONDIUS -Europa Exactissima Descriptio. Size: 14.8 x 19.9 inches. A fine and very elegant map of the European continent. Embellished with two cartouches, several ships and a sea-monster, polar bears and lions. With the imprint of Henricus Hondius and the date 1631.